We appreciate that in any business, and particularly the food business, good partnerships start with getting the basics right. Our aim is deliver 100% service, with absolute consistency of quality and taste. We have an established 7-stage development process designed to create and deliver category leading new products and get them to market quickly. Quality checks are built into every stage of our production processes, and our intent is to help you grow your business in our category, achieve and maintain good margins, and deliver quality for your customers, competitively. We’ve always said that the heart of our business is in the kitchen and that remains true. We are experts in our field and make no bones about it. We know how to create and maintain the integrity and taste of our kitchen samples through to large scale production. We take a proactive approach to sourcing our ingredients and won’t settle for less than the best, and we use a range of artisan processes from mixing our own spices to marinating meats to achieve authentic food styles and tastes. We are driven by a simple wish to keep delivering the best possible food you can buy, like-for-like, at any given price. 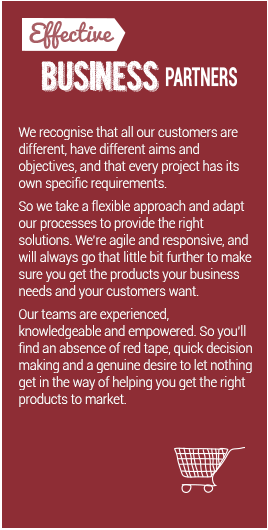 Our business is built on trust and we work hard to develop strong, long term relationships with our customers. We know that these can only grow from consistently delivering the right products and service, and so you’ll find that at Pro-Pak Foods, what we say, we do. We nurture an entrepreneurial spirit, have a ‘can-do’ attitude and always try to be true to our values and exceed expectations. Not only doing what you ask for, but going a step further with new ideas and technologies that add value.